This summer, take care of some of the most common skin ailments in a snap! With simple tips and products from experts Anastasia Soare, David Stark and Dr. Nicholas Perricone, some of your biggest beauty dilemmas will be a thing of the past! There is nothing worse than a painful reminder of the dangerous, hot, summer sun. Even worse, is knowing that inflammation and damage has taken place deep beneath the surface of your skin just by a few hours spent having fun. We know you’re applying sunscreen – right? But you should also be treating your skin, making sure it’s hydrated, especially after sitting in the sun. 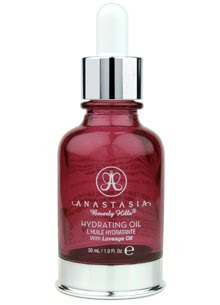 Treat your skin with Anastasia Beverly Hills Hydrating Oil, packed with Jojoba, Borage, Black Currant, Rosehips, Meadowfoam Seed and Lavendar Oils, which work together to provide ultimate hydration and soothing benefits. This clinically tested non-irritating formula is also Non-Comedogenic and Paraben Free, and the oil leaves skin feeling supple without any greasy residue. Vital for thirsty, strained skin, and simple enough to incorporate day and/or night. For your next BBQ, leave it to celebrity event planner and home expert, David Stark, on not only creating a perfect tabletop or picnic display but to give you interesting, out of the box tips. Instead of spraying a not-so-pleasant bug repellent onto skin, plant pots of scented geranium in your garden. According to David “It's a natural, beautiful bug repellent” and if you don't have a garden, add some scented geranium in your flower arrangements to keep insects at bay. Sunscreen overload, combined with makeup, and sweat from summer heat can leave skin looking oily and pores enlarged and congested - hello breakouts!!! 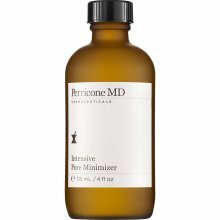 Leave it to Perricone MD’s Intensive Pore Minimizer, a multi-functional treatment that tightens the appearance of pores and firms skin with Salicylic Acid, Alpha Lipoic Acid and DMAE. See instant results – banish dirt and makeup buildup, balance oil production, and achieve clear, fresh and matte skin. 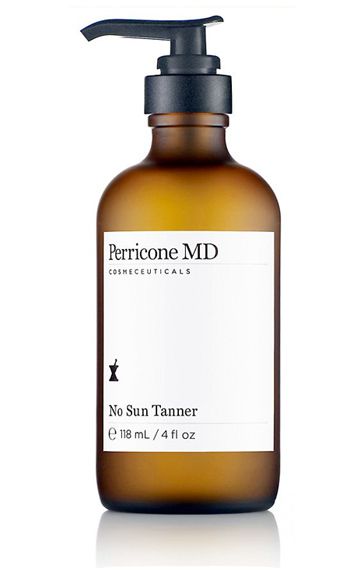 Wear your tiniest bikini this Summer and show off glowing, tan skin with Perricone MD’s No Sun Tanner. A new gradual tanner that customizes to your skin tone, providing a natural-looking, sun-kissed tan within 7 to 14 days of application. Gone are the days of streaking, unnatural color, clothing stains and odor. In, is an effective, multi-tasking formula that offers so many benefits, including a Pro-Vitamin D infused formula and potent anti-aging ingredients that will simultaneously firm and tone the skin. Best of all, it dries in 2 minutes and won’t rub off on clothes, smells like cocoa butter and leaves skin DHA-odor free! Whether you forgot to take that appointment before heading to the beach or you spotted a few stray hairs, Anastasia Beverly Hills has you covered for quick, painless hair removal on the go. For years, famed brow and beauty expert, Anastasia Soare, has had her celebrity clientele requesting travel-friendly products they could use when on locations to maintain their brows in between regular salon visits. 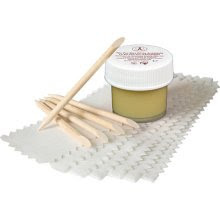 Using a professional grade wax and the essential tools necessary in creating a smooth finish, Anastasia created The Pro Wax Kit, for quick and easy use at home or travel. For those pesky hairs that can’t seem to stay away, Anastasia’s Precision Tweezers feature a slanted tip and calibrated tension made of the highest quality steel to give you the ability to tweeze even the finest of hairs.